Moscow is bitterly cold during the winter, but a visit to this Russian capital during February is especially romantic. After all, Moscow (and Russia) is so fondly portrayed in film and literature during the winter months—think Saint Basil's Cathedral, traditional Russian dress, hearty food, and warming vodka—that visiting during February, as frigid as it may be, almost seems to be a requirement. The city does experience extremely cold winters, and February is no exception. But, if you can brave the snow, you'll uncover a city filled with plenty of charms, ranging from incredible baroque buildings to world-class art museums and more. February in Moscow is just as cold as it is in January, so be prepared for slick sidewalks and bitter winds. With an average temperature of just 20 degrees Fahrenheit (-7 degrees Celsius), the city is freezing and visitors should come prepared. Expect to see minimal sun during this month (around 70 hours total! ), but luckily, not too much snow either—just more than an inch. However, random intense snowfall does happen. As recently as 2018, the city received a freak snowfall of nearly 9 inches in just one day, exceeding a record set in 1957. Moscow's brutally cold February temperatures can make packing a challenge. First and foremost, you'll want to protect your skin from freezing temperatures with your cold-weather accessories. If you're visiting Moscow in February or another winter month, you'll want to pack lots of layers, and high-quality accessories for cold weather, such as a thick scarf, warm and waterproof gloves, a hat, or ear muffs. In the most extreme weather, you'll also want a buff or another piece of clothing to cover your face. Since you'll be outdoors sightseeing and walk from place to place, you'll want to pack much warmer than you would for similar temperatures at home. 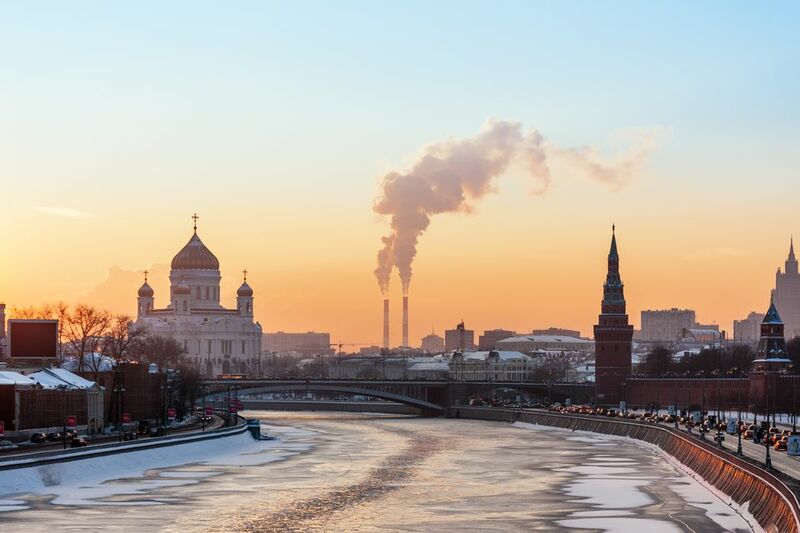 Moscow is relatively quiet during February, as most Russians spend there time cozied up indoors, far from the city's harsh weather; however, there are still a few noteworthy events that take place through the month. Celebrate Valentine's Day in Moscow on February 14. Moscow is a romantic city. Even though Russia doesn't recognize St. Valentine's Day to the extent that the West does, you can still take in an evening show or spend time with your darling in on of Moscow's restaurants. February 23 is Protector of the Fatherland Day. This day commemorates Russia's servicemen. Maslenitsa, Russia's pagan farewell to winter, sometimes begins in February. This culturally rich festival takes place in Red Square. Moscow's many museums offer free admission on the third Sunday of each month. Cold weather is great museum-going weather. Be sure to visit the Kremlin's Armoury Museum, the Tretyakov Gallery, and the Pushkin Museum of Fine Arts. Russia has a complicated visa process for Americans and citizens of many other countries. Using a visa agency can simplify the process for most travelers. Russia's many museums and historical attractions don't always have standard opening hours or times. The make sure your visit isn't thwarted, research ahead of time to best plan your days. The Moscow metro system, despite its beautiful stations, is more challenging than many other European cities. Be sure to carry a map written in English and Russian for ease of travel. Russian can be a difficult language for foreign visitors to master, but even attempting to speak just a few words will go a long way when it comes to connecting with the locals.